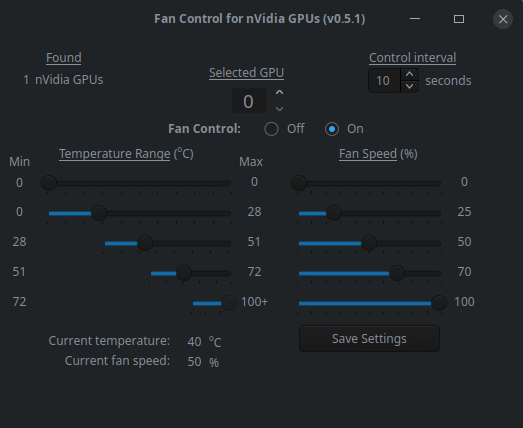 Hello, the following post aims to facilitate the installation and use of an app aimed at managing fans of the Nvidia video boards (Series GT, GTX and RTX) when making use of the proprietary drivers of the same brand. Graphic visualization of the aforementioned. 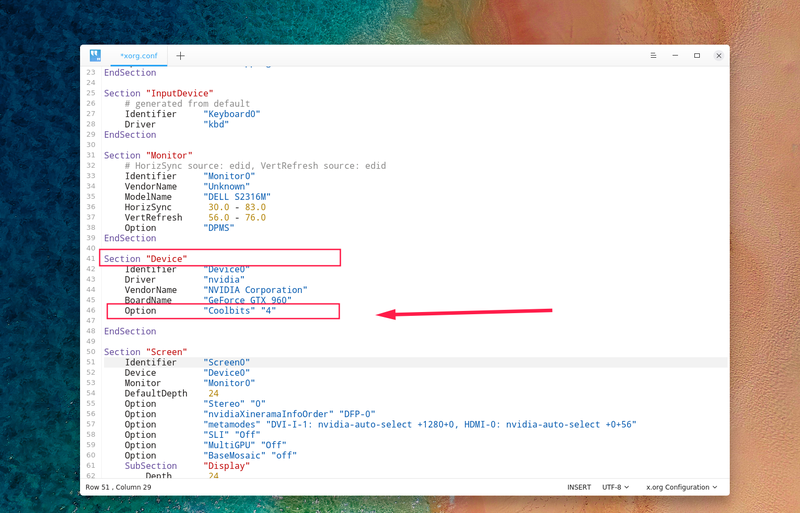 Note that the file does not exist in the described path. It will be generated automatically after being saved. 4. Go to the section device and write, respecting the text lines and structure, Option "Coolbits" "4"
5. 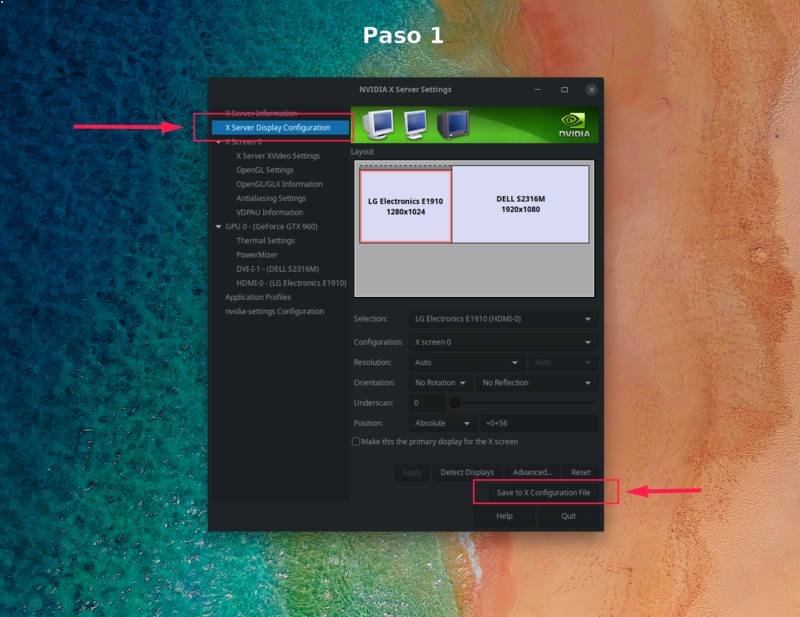 This step is optional, but useful, in the section monitor, to write Option "DPI" "96 x 96", this will make the letters when writing the password and in some games or apps rendered by the board are not so small. 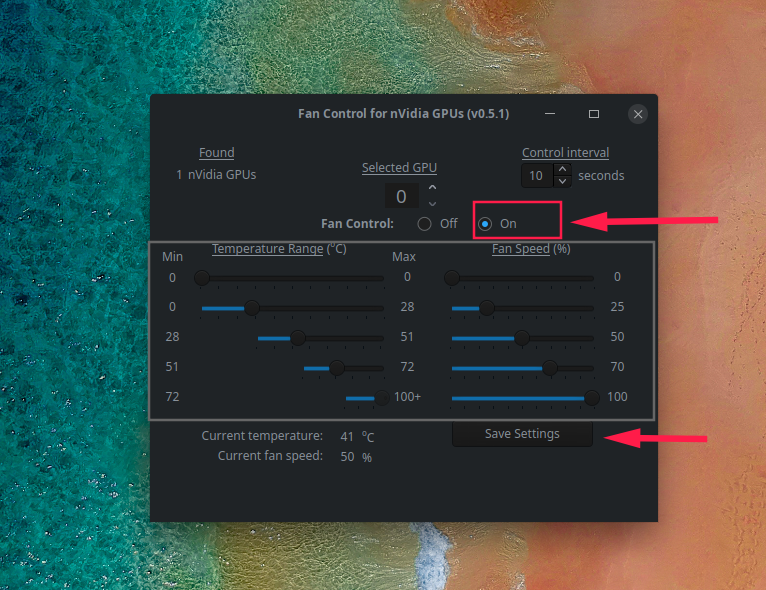 A new section within "thermal settings"That allows control of the fans, seeing this will mean that the steps have been done well. Exclusive to the proprietary drivers of Nvidia (Does not work with the free Nouveau). At the moment it has not been able to make it work in solutions for laptops like Prime or Bumblebee. Suitable for SLI, allowing configuration of the fans of up to six video cards. Lightweight, it does not occupy more than 25MB of running RAM. Possibility to change the temperature revision time values ​​between 1 and 120 seconds. 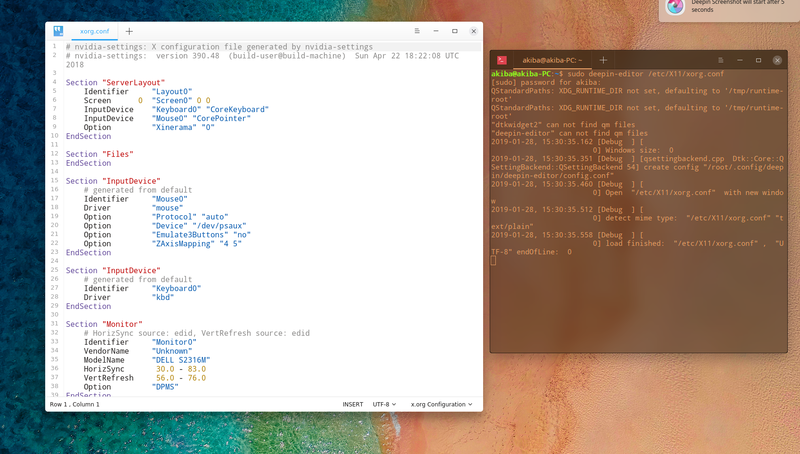 Made in Python and PyQt, giving the latter advantage of allowing to adapt to the light and dark themes of Deepin. I hope you find it very useful, greetings! 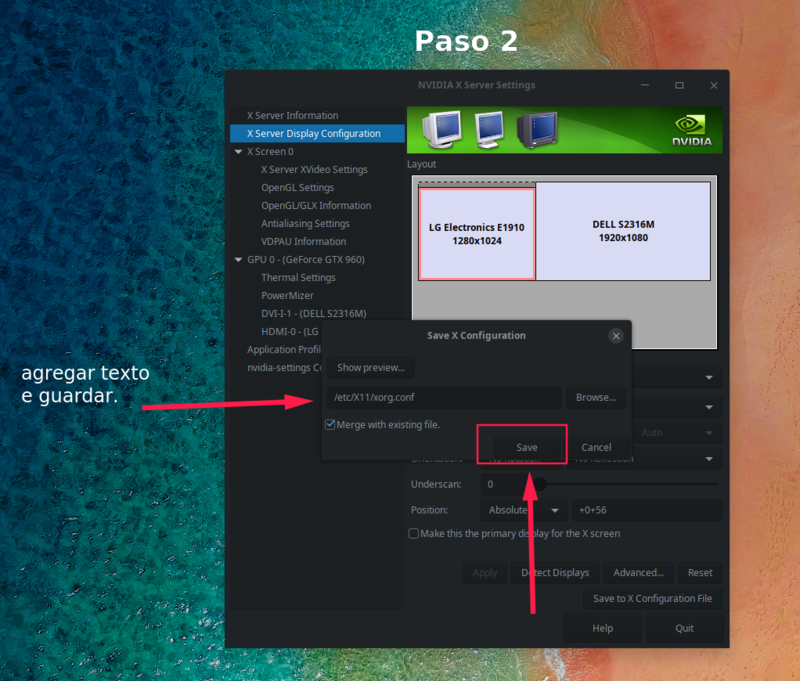 ♋ Open source enthusiast, Oscar Ortiz He is also Author and Collaborator of Deepin in Spanish. Very useful article Oscar Ortiz Surely it will be a lot of help for many. Sincerely I doubt that the creation of a file xorg.conf (the same one even without existing as file, it exists, because it is the configuration of your plate, no more nor less than that), or the addition of the Coolbits option (only unlocks secret sectors of the configuration of the board, nothing more than that) can do great damage or even damage to the system. 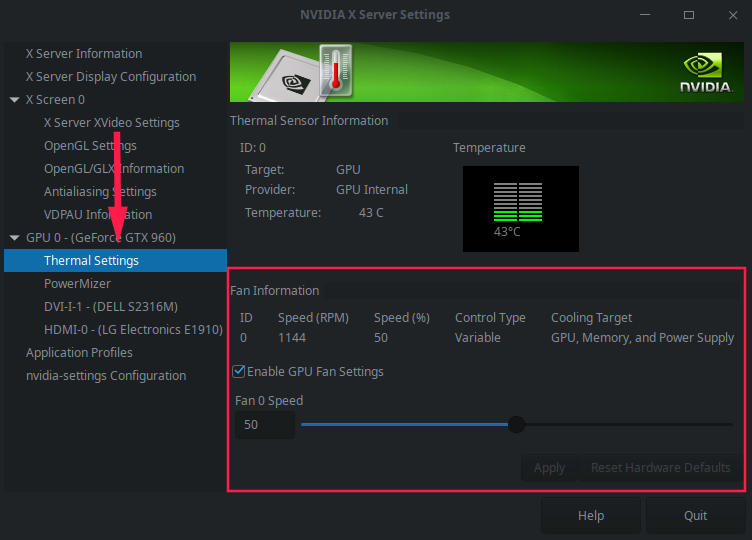 Even if when you edit the xorg.conf file you will incur a writing error, the same nvidia-settings would give as invalid deleting what you added wrongly. And, finally, I would like to know the hardware specifications of your PC, as notice, as stated in the publication, Bumblebee and Prime do not have support for the proper functioning of this app since they do not use nvidia- settings and do not make use of a xorg.conf file related to the Nvidia board but another related to the integrated Intel.